1. 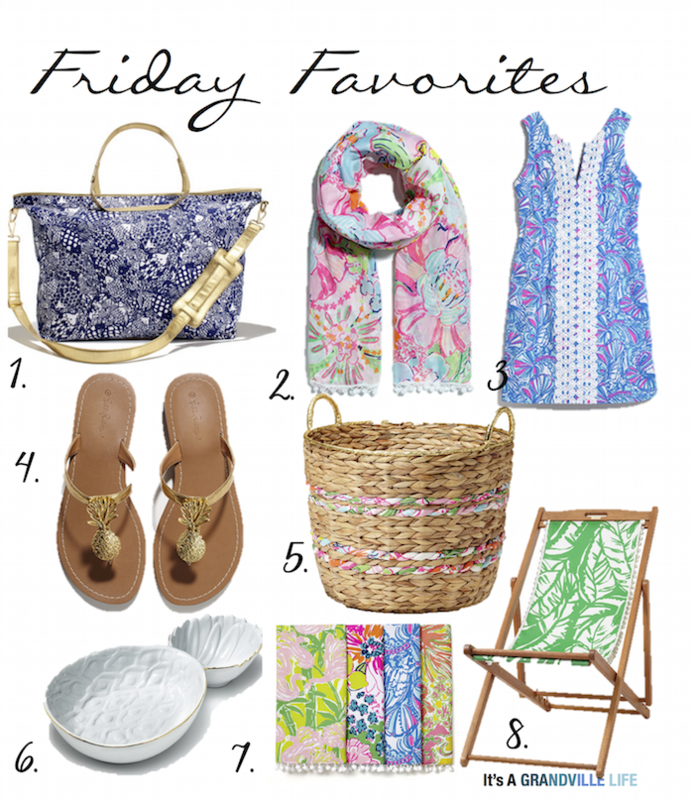 Weekender Bag: I love everything about this bag. 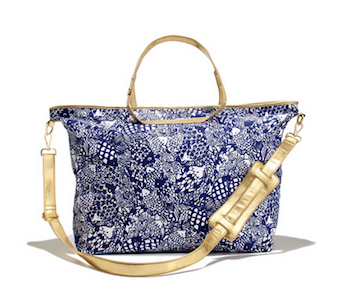 The navy and gold combination, the tropical fish design, the size of it and the fact that it has a large strap and would be great for traveling! I have several trips this year and I think this would be perfect! 2. 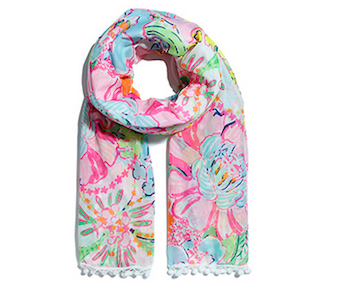 Scarf with Pompoms: I love this bright summery scarf!I love to have pieces like this that can multitask especially during vacations. 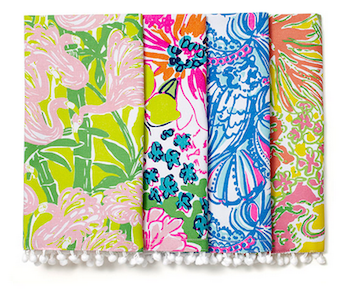 It would go great with a simple tee, but it would also make a beautiful sarong! This is definitely on my buy list. 3. 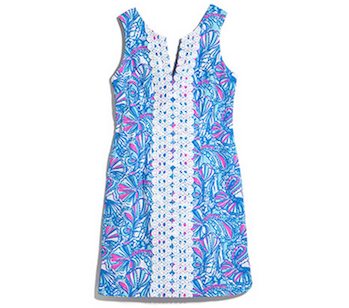 Shift Dress - My Fans: The one Lilly Pulitzer item that I already own is a shift dress and I love it! There is multiple shift dresses in the line, but this one is probably my favorite. 4. 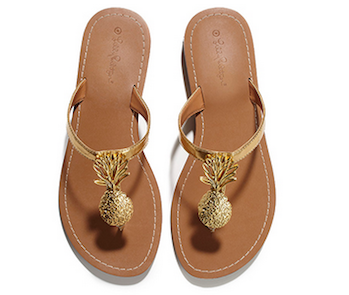 Gold pineapple sandals, need I say more? 5. 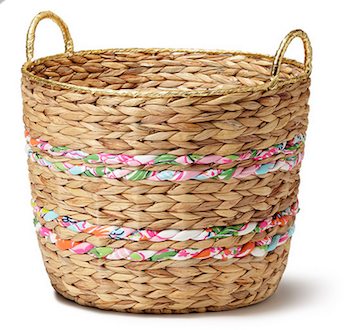 Woven Basket with Fabric: I love the added color and uniqueness the fabric brings to this basket! 6. 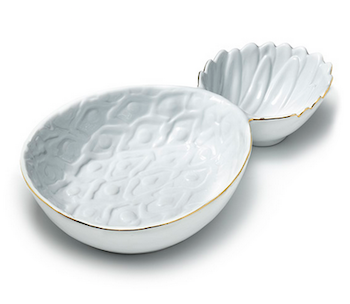 Pineapple serving bowl: This is just too cute! 7. How fun are these napkins!? 8. 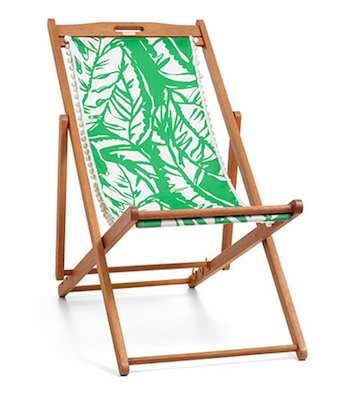 There is two beach chairs in the line and I think these would be so fun to have if I owned a beach house or large patio area! So what do you think, are you loving this line as much as me? I'd love to hear what are your favorite pieces in this line are in the comment section below! Did you go to Target? If so, how'd it go? Yes I went! Unfortunately they didn't have much that I wanted! I was able to get a bag though!! That pineapple dish...to die for!